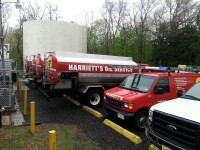 Harriets is now using oil solutions in place of oil dry. Odor nuetralizer. Oil pads and microbials to clean oil spills. Oil stains & oil odor. Harriett’s Energy Solutions is here to go the extra mile to improve the quality of life in the communities we serve. Atco, Berlin, Beverly, Birmingham, Bordentown, Browns Mills, Burlington, Chatsworth, Cherry Hill, Cinnaminson, Collingswood, Columbus, Cookstown, Delanco, Delran, Eastampton, Edgewater Park, Florence, Gibbsboro, Haddonfield, Hainesport, Indian Mills, Jacobstown, Jobstown, Juliustown, Lumberton, Maple Shade, Marlton, Medford, MedfordLakes, Moorestown, Mount Holly, Mount Laurel, New Egypt, New Lisbon, North Hanover, Palmyra, Pemberton, Pennsauken, Rancocas, Rancocas Woods, Riverside, Riverton, Roebling, Shamong, Sicklerville, Southampton, Tabernacle, Vincentown, Voorhees, Waterford Works, West Berlin, Westampton, Willingboro, and Wrightstown.